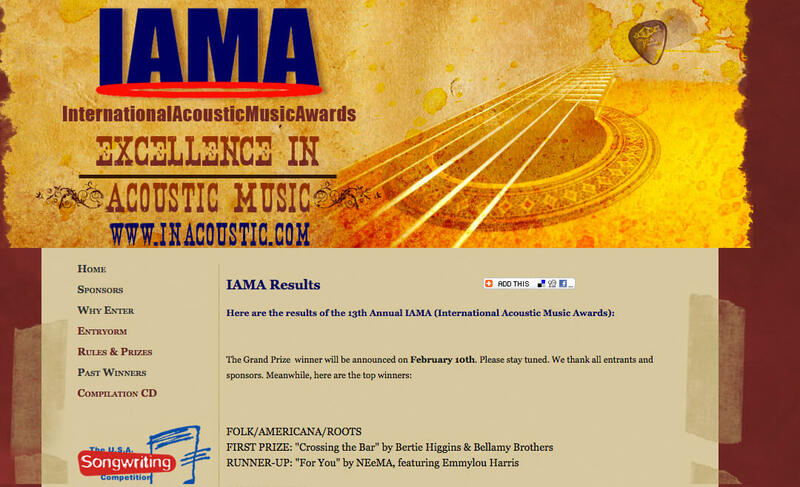 Neema’s song FOR YOU is runner up at the 13th annual International Acoustic Music Awards. Listen to the song here. See list of winners here.